Down the Rabbit Hole We Go...: Supplement Suggestions Please! As you may know, my youngest daughter has a very poor diet due to ongoing health problems. Because of this, I give her quite a few supplements. She also takes a prescription dose of Prevacid daily in addition to the supplements, which can be a bit of a juggling act, as many of them can't be taken at the same time if you want to optimize absorption. She doesn't take all the supplements everyday, more on a "as needed" basis, when I realize that her colour is bad, sleeping is poor, leg pains are getting out of control, etc. I've realized that in spite of all these supplements, she is still lacking a quality probiotic and Vitamin D supplement. So I'm coming to you for your suggestions. What do your children take that is especially effective? What would you recommend? The health ladies at Nutters are awesome! Go in and question them I'm sure they could give you some insight. 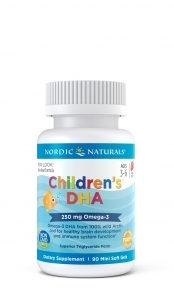 I've used the natural factors probiotics with my little ones!